and get the end-users high praise. thought the oil market is slow down everywhere in the world. 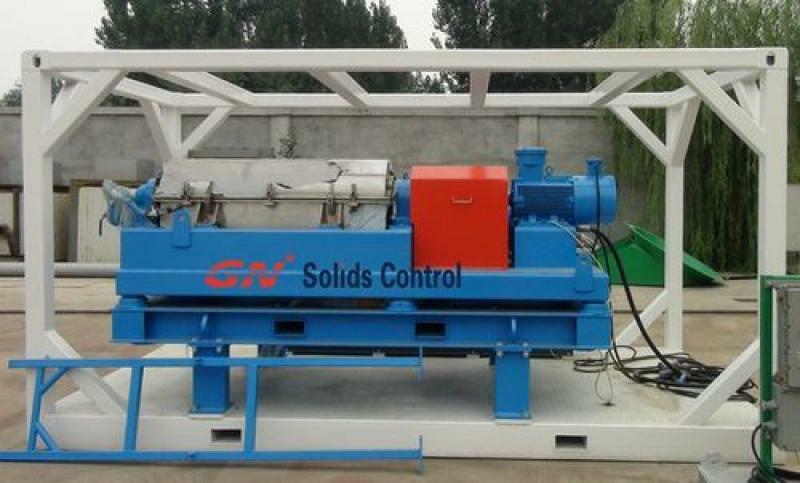 solids control and dewatering unit, pls contact with GN solids control sales. stock in Houston warehouse, which can also be applied for baryte recovery. GNLW453 centrifuge is 264gpm, much bigger than GNLW452. 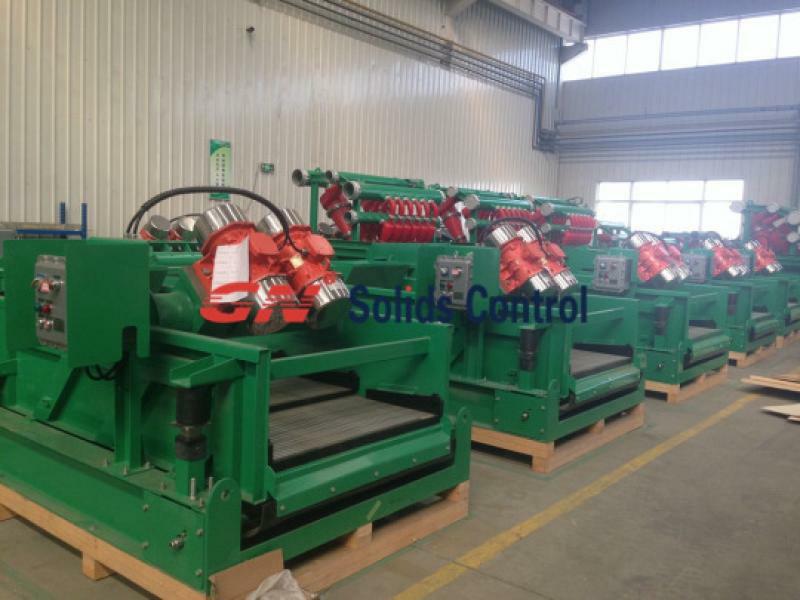 and solids control shale shaker. GN brand high speed decanter centrifuge has been used for waste water reclamation in the oil & gas field. The purpose is to help you use less water or recycle more water to save you money, and work in an environment responsible manner. Decanter centrifuge act as an important role but not the final in the process of water recycling. It is used to separate the clay and silts from the fluids and dry the solids for disposal. GNLW363CG & CG-VFD decanter centrifuge and GNLW453-CFD, GNLW553-VFD centrifuge can be used for such application.GN have all these centrifuges models available in GN SOLIDS America warehouse located at Houston for sale and rent, pls contact GN sales for an appointment in our warehouse. GN decanter centrifuge can be applied not only for oil & gas field, but also industry waste water, like dredging slurry separation, pond slurry separation, mining slurry separation, TBM, diamond core drilling waste water, etc. But before feeding the fluids to the centrifuge, it is necessary to confirm the big solids/rock/stone/tree has been removed. 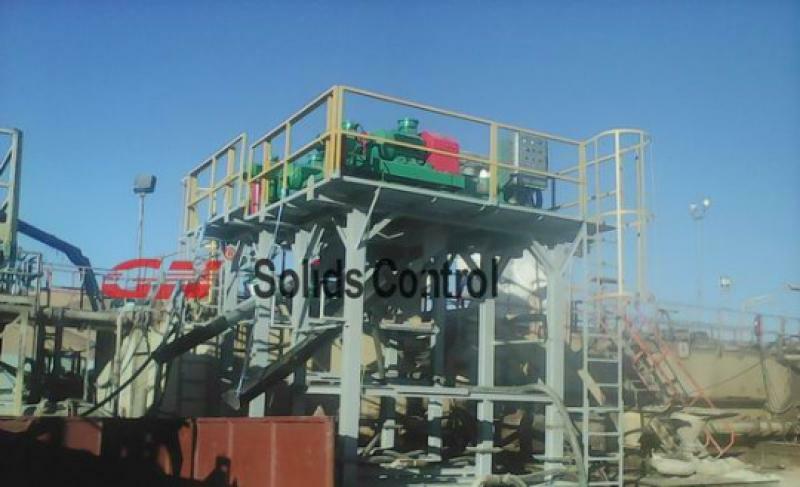 GN solids control design and manufacture both barite recovery decanter centrifuge system and liquid mud plant for customized requirement. Our barite recovery decanter centrifuge model including GNLW452 with 1800rpm and 18inch bowl and GNLW453VFD with 0~2800rpm variable speed , 18inch bowl. These 2 models are commonly used for barite recovery system. But sometimes GNLW363VFD decanter centrifuge is also used for LMP. We ever made a 6 mud tanks liquid mud plant for CNPC division company, with decanter centrifuge GNLW452 with screw pump, mixing hopper, mixing pump, mud agitators,mud gun and charging pump, etc. How to design a customized liquid mud plants? Firstly we need to know the total volume of the LMP, so we can design the mud tank size and we can know the layout of each mud tank, how much bbl each mud tank, and how to fix them in the liquid mud plant. Secondly we need to know what equipments will be used in LMP, including the mud recycling system, barite recovery centrifuge, high speed decanter centrifuge, pumps, pipelines, mixers, etc. The mud recycling system including shale shaker, desander, desilter cone, decanter centrifuge, mud tanks, mud agitator, mud gun, mixing hopper, shear pump or mixing pump, etc. If you need a liquid mud plant for water based drilling fluids or oil based drilling mud, pls contact GN solids America for a professional sales.